We’d love your help. Let us know what’s wrong with this preview of Who Put This Song On? by Morgan Parker. Who Put This Song On? Trapped in sunny, stifling, small-town suburbia, seventeen-year-old Morgan knows why she’s in therapy. She can’t count the number of times she’s been the only non-white person at the sleepover, been teased for her “weird” outfits, and been told she’s not “really” black. Also, she’s spent most of her summer crying in bed. So there’s that, too. Lately, it feels like the whole Trapped in sunny, stifling, small-town suburbia, seventeen-year-old Morgan knows why she’s in therapy. She can’t count the number of times she’s been the only non-white person at the sleepover, been teased for her “weird” outfits, and been told she’s not “really” black. Also, she’s spent most of her summer crying in bed. So there’s that, too. Lately, it feels like the whole world is listening to the same terrible track on repeat—and it’s telling them how to feel, who to vote for, what to believe. Morgan wonders, when can she turn this song off and begin living for herself? To ask other readers questions about Who Put This Song On?, please sign up. Be the first to ask a question about Who Put This Song On? Who Put This Song on? is the most accurate depiction of teen depression and anxiety I've ever encountered and will be an automatic recommendation for anyone going through a hard time. 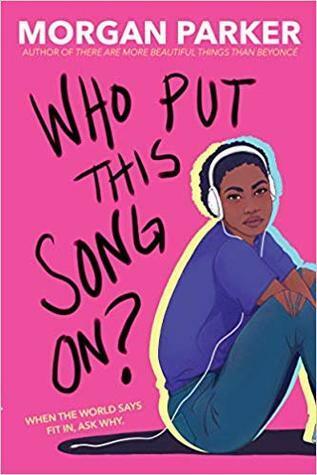 The dichotomy of Morgan's space as a young African American woman in a mostly white high school and her desire to fit in with other outcast groups is also really beautifully explored here.